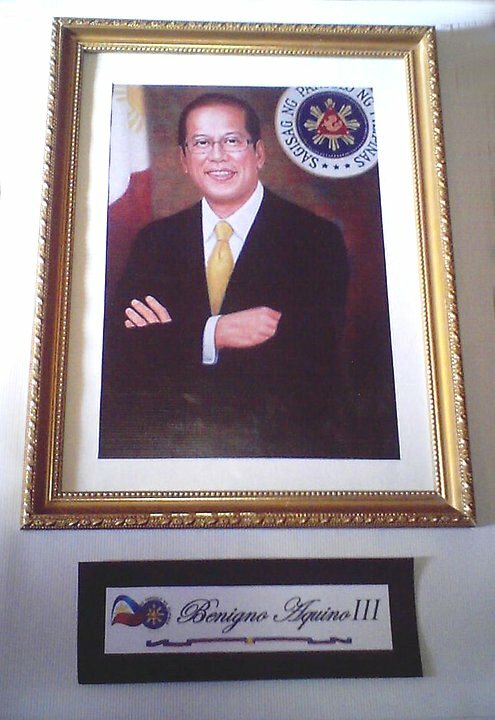 This first-of-its-kind exhibit from the collections of Cebu Stamp Club’s Richard Allan Uy is presented to celebrate the assumption of Benigno Simeon “Noynoy” Aquino III as the 15th President of the Philippines. Featured are the stamps, covers and photo of the new president as well as those of all the past presidents. Included too are philatelic materials and stamps of the great icon of democracy Cory Aquino. Philippine history is also shown using stamps with some dating as far back as the Spanish Dominion, American Occupation, Commonwealth Period, Japanese Occupation and the Republic Issues. 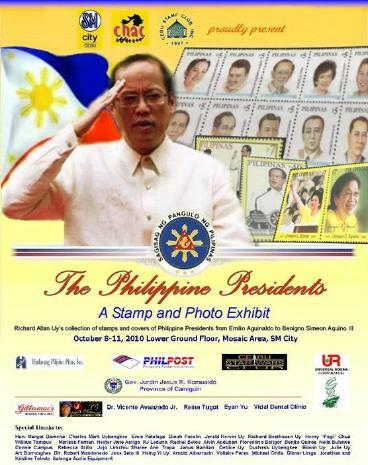 Another part of the exhibit is the Interactive Presidents section wherein one can click on a certain president and view his/her info, videos, official Malacañang photo, presidential banner, signature, the president’s contribution to nation building, and of course, the complete stamps issued. THE AQUINOS: A philatelic collection featuring Senator Benigno “Ninoy” Aquino Jr., President Corazon “Cory” Aquino and President Benigno Simeon “Noynoy” Aquino III. LAS ISLAS FILIPINAS: The 64-page award winning collection of Richard Allan Uy that retells Philippine history using stamps as pictures with some issued in the 1860's, 1898 and early 1900's. THE TRES DE ABRIL STAMP: A collection on the Tres de Abril stamp. This stamp was released in 1998 and is the first Cebu proposed stamp initiated by Cebu Stamp Club, Incorporated (CSCI) together with the Cebu City Government. The stamp design was done by Cebuano artist Jose "Kimsoy" Yap Jr.
INTERACTIVE PRESIDENTS: An online presentation wherein one can click on a certain president and view his/her info, videos, official Malacañang photo, presidential banner, signature, the president’s contribution to nation building, and of course, the complete stamps issued. Jump and click here to view more photos..